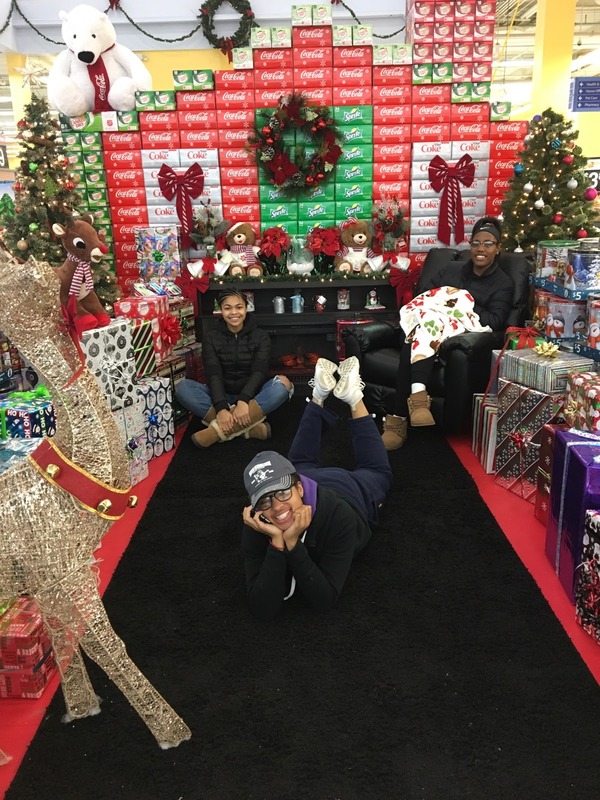 UPPER MARLBORO MD - Unlike Some People, That Has The Weekends Off. Well I'm Not That Fortunate No More Since A Few Of My Ex Co- Workers Decided That They Had Enough Of Working After 35 Years Straight, Can You Actually Blame Them Though. That Is What Stop Me From Attending The First two Day's Of One Of The Biggest High School Basketball Showcases On The East Coast Which Took Place December 9 -11. 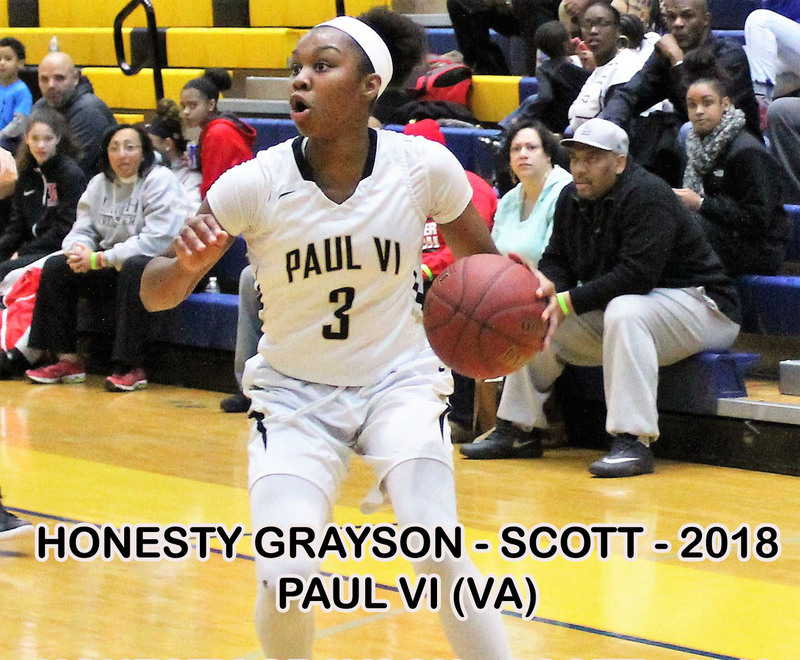 The 8th ANNUAL SHE GOT GAME CLASSIC, There Were 117 Teams Participating In This Huge Event Along With 8 Different Location That Spanned From Maryland To DC. All Of The Heavy Hitters Hoops Girlz Scouts Were In The Building Watching Some Of The Top Athletes In Country Perform On A Cold Put Calm Day, That Was The Mood If You Where Outside For Those That Where Inside The Talent Range Was Far From Calm. Monday: Following another long day of classes, we threw on our things and headed to practice. We focused on getting out in transition, boxing out and pressure defense. We discussed the game the next day, but we dedicated the day to focusing on us and the big weekend ahead. Tuesday: Today was game day against Cardinal Spellman, a highschool in the Bronx. We didn't prepare too much for this game, but we had confidence that we'd make the right adjustments to ensure the win. From the jump, we were outplayed. We refused to show heart and mental toughness in the beginning, but after a little bit of cursing (an understatement) from the coaches, we picked up our intensity and established a comfortable lead. Ultimately, we pulled out with the win. I was frustrated afterwards due to many different things, but mainly my individual performance. Wednesday: After the events the day before, we had a discussion about what needed to happen going forward, especially before we took on the number one ranked team in the country. We moved through practice swiftly and talked about the game plan for the coming days. Overall, it was good day. Thursday: Today was immaculate conception, so TMLA was closed, but we had practice. We watched film and ate breakfast for an hour and a half before hitting the court for another two hours. We focused in for the entirety of practice. I felt particularly determined to find a rhythm since I wasn't happy with my play. After practice, I stayed for an extra hour shooting catch and shoot shots to build some confidence. I headed home later that afternoon to get my hair washed then braided. Friday: Today we had a shortened schedule, so school ended at 12:30. Soon after, the team had a shoot around at Mary Louis for about an hour and a half. We boarded the bus an hour later and made our way to D.C. On the ride, I thought a lot about my responsibilities for the weekend, which included staying aggressive on both ends of the floor, amongst others. For those who don't know already, I love J. Cole, so his new album, 4 Your Eyez Only, was on replay while I anticipated the next two days. I didn't like the way I'd played in our last few outings, including our scrimmages, so I carefully articulated the details of my play in order for our team to be successful. Saturday: Today was game day against Ursuline at 2:30 pm. Unlike our first three games, we played with urgency right out of the gate. However, as the game waned on, we lost that sense of urgency, lost our lead and the game. We couldn't dwell on the loss given the gravity of the game the next day. So, we went out to dinner as a team and enjoyed each other's company. Sunday: Today was the big day. The day we'd been preparing for and talking about for several weeks. Today was the day we played Paul VI. Obviously they are a special team, but despite the pressure and hype around the situation, I approached it as a regular game. I also made sure to remind my teammates of the same thing. The first quarter into the beginning of the second were great spans for us; we flowed well. However, as the clocked ticked down to halftime, we lost our stride and didn't hit it again until the fourth quarter. We struggled to advance the ball and to get momentum-building possessions. The starters sat out for the entire third quarter watching the lead swell to a point of no return, so when we stepped on the court for the final period, running off of the energy left on the floor by the bench, we played HARD. Ultimately, the lead they built was too much to overcome, but we proved something to ourselves: we can compete. Every experience is a learning experience, no matter the outcome, so we talked about it in the car ride back to the city, I reflected on my play, and thought about practice the next day. Monday: Today was our off day, so we had the opportunity to leave right after classes. I didn't do anything special today except relax and do some homework. Tuesday: Today was our first practice after the disappointing weekend. My teammates had voiced their apprehension about practice. "What's coach going to do", we thought. Luckily for us, our coach changed the practice plan to adjust to our weak areas as opposed to punishing us. We adopted, "energy", as the theme for the coming week. After a few minutes of clapping, yelling and encouraging each other, the apprehension flew out of the window. We worked hard and remained focused for the duration of practice. After practice, we spent about an hour talking about the weekend, not so much our play, but off of the court team issues. At the end of it all, we resolved the issues and reminded ourselves of the season's goals as well as the significance of sacrifice to ensure success. Wednesday: Today was pajama day at Mary Louis, so the day was a little bit more enjoyable than usual. I was looking forward to practice after school; we had a high-energy, productive practice the day before and I wanted the same again. thus far. We did a lot of our defense drills, worked on our zone as well as our new offense. Thursday: Today was an ordinary day at school. I had a couple of assessments and practice about an hour and half after classes ended. Again, we worked on our lagging areas using a high-energy approach, but today we implemented a new offensive scheme in order to get the ball in different spots. I finished the night with some homework and studying. Friday: Today was dress down day at school, so from the moment that I was able to throw on sweatpants and sneakers to go to school, it felt like a great day. Following the school day, we had our second to last practice before our next game against Neumann Goretti. Again, we were energized especially working within our new offense. It felt great to head home after a productive week in both school and in the gym to watch Netflix, listen to music and complete some homework. Saturday: I had practice from 10-1 this morning, so even through the snow and slush, everyone was present and ready to go. We had another great, high energy practice to close out a full week of sessions. I returned home and had time to do chores, homework and FaceTime. I finished the night with some core and adductor exercises. Sunday: Today was game day against Neumann Goretti, the eleventh ranked team in the country. Again, My teammates and I approached it as another game. After getting a whooping last weekend, we were all eager to redeem ourselves. At the end of it all, we won the game and to top it off, we played our best basketball of the season thus far. I'm extremely proud of the way my teammates played from start to finish. After the game, I made my way home to prepare for the next day. I also made sure to do my core and adductor exercises again. 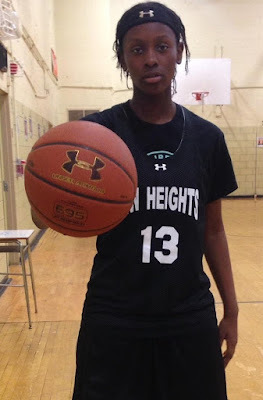 NEW JERSEY GIRLZ HOOPS 2016 / 2017 PRE - SEASON TOP 20 LIST. 1. Manasquan - TOC Runner Up Last Season, Plus they have All Returning starters. Dara Mabrey, Faih Masonius, Addie Masonius, Stella Clark, Victoria Glavan. 2. 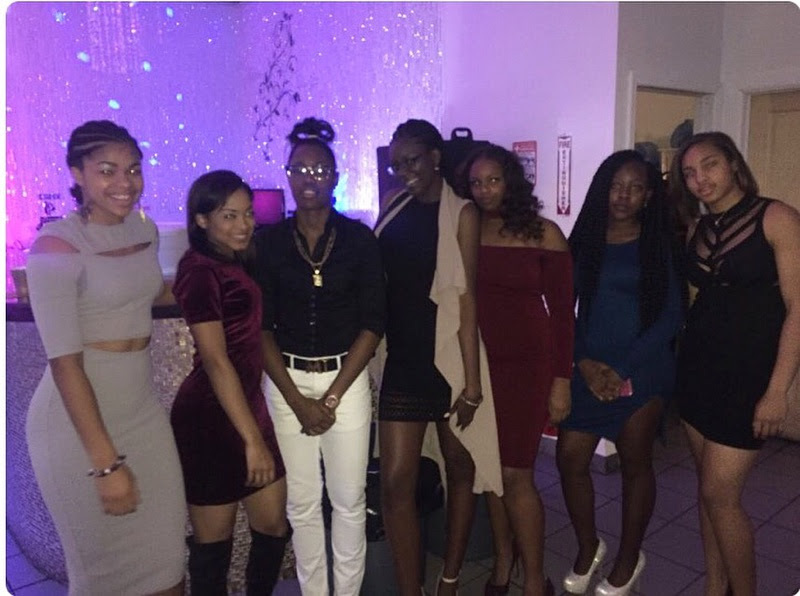 Rutgers Prep - Made it to the TOC Semi-Finals Last Year. They are very Deep, In They Go as far as Jahsyni Knight Takes Them, She is the Engine That Drives The Bus, Along With One Super Sophomore In A Bunch Of Freshman. 3. St. Rose - Another Team That Could Have Possibility Been At The 1# Spot, One Of The Best Coaches In New Jersey Coach Whalen Always Seem To Get The Kids To Play For Him In Know There Role. They Also Have A Few Players That Can Flat Out Score Or Just Be Well Coached. 4. The Patrick School - With The New Two New Editions Of New York States Transfers Mimi Reid And Zaria Dorsey, The Patrick School Could Easily Take The State By Storm In Become A Top Contender, They Also Have Q. Hoppie St. John's Signee A New Head Coach In A Few Assistant Coaches That Stayed With The Staff, That Should Also Help Out. 5. St. John's Vianney - Coach Karpell Lost 5 Starters Last Season, That Played A Big Part of Vianney's TOC Championship, They Will Be Anchored By Kim Evans The Seton Hall Signee, Vianney Is Very Deep With Some Good Talent. Coaches Daughter So.Sarah Should Provide A Spark, So. Sajada Bonner Also Should Give St. John's A Lift. 6. Gill St. Bernard - There Fate All Boils Down To How Healthy The UMass Signee Alexia Allesch Stays. They Have Some Transfers That Will Play A Big Role, So. 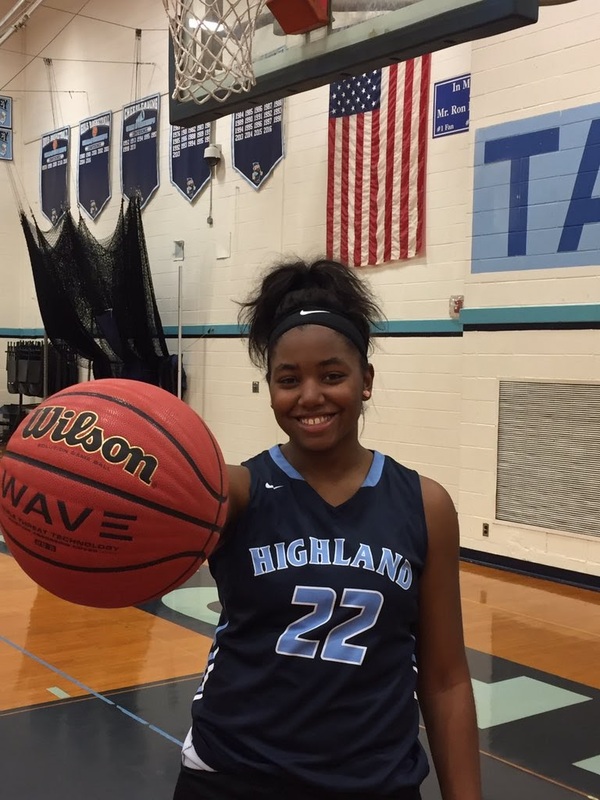 Nisani Santiago Is One Of The Toughest Combo Guards In The State. 7. MiddleTown South - Returning 4 Out Of 5 Starters Should Help South Make A Big Run, Sr. Haley Dalonzo St. Peters Signee Is Back From Injury. Filling The Shoes Of Stephanie Karcz Will Be Huge Who Graduated Last Year. Freshman Kayla Richardson Will Give Them A Boost If It's Starting Or Coming Of The Bench. 8. Newark Tech - Tech Is Ranked 7th Because Of A Few Reasons, Coaching Is Definitely One, And Getting A Couple Of Transfers From A Once Powerhouse Shabazz. So. Mariah Perez Is A Huge Part Of There Offense, If She Steps Up This Year This Could Be Techs Year To Make It To The TOC. 9. Franklin - I'm Just Going To Say One Word Diamond Miller, This Young Lady Can Carry A Team Well On Her Back, She Has A Little Help In Guard Jr. Camille Gray And Post Monique Davis - Campbell. 10. 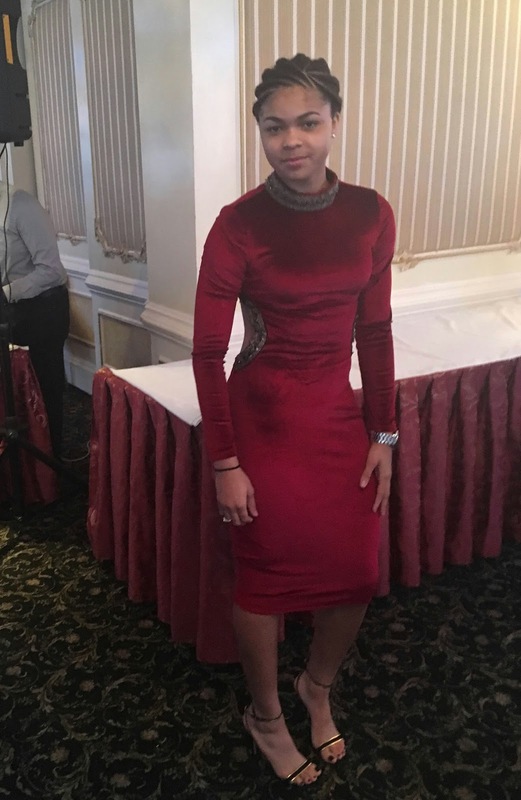 Queen Of Peace - LSU Signee Raven Farley-Clark Is And Should Have A Big Year For Peace, The Lost Of Asonah Alexander (Injured) Will Surely Be Missed. Point Guards Jr. Forever Toppin And Sr.Sydney Watkins Will Help Take Over In The Backcourt. 12. Red Bank Catholic - A Good Shore Conference Team That Will Probably Finish In The Middle Of The Pack. 13. Notre Dame - Freshman Post 6'4 Erica Porter Will Be The Work Horse In The Middle, Lost Some Major Key Parts In The Big's Department And One D1 Guard. The Jr Crawford Twins Eve And Maryam Return And That Should Give Them That One Two Punch. 14. 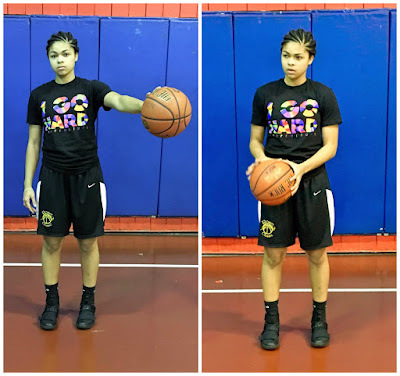 Paterson Eastside - New Jersey Is Still Waiting For A Breakout Season From Jr. Andrea Aquino, The 6'9 Jr Post Should Be Going Into The Season Fully Healthy. This Is A Guard Ridden Team, Let's Just Hope That There Guards Can Get The Ball To There Big. 15. Rumson Fair Haven - With Legendary Head Coach Retiring (Sourlis) The Question Is What Will Rumson Fair Do. Well They Will Be Lead By D1 Prospect Jr. Guard Tori Hyduke Who Is Always Electrifying When The Ball Is In Her Hands, Sr. Hannah Scanlan (Bryant) Has Trim Up This Season, And Sr. Katie Foos Should Shine. 16. Gloucester Catholic - One Of South Jersey Best Teams, Should Go Undefeated In The Area Until They Meet Up With The Likes Of Rutgers Prep, St. Rose Or Gill St. Bernard In The States There Enrollment Is Down Which Switches Them From Non - Public A To Non - Public B, They Will Be Lead By Sr. Danielle Sanderlin (Canisius) Who Will Hold Down The Middle, Sr. Niya Saab, And Boston U Bound Sr. Tenisha Pressley, And Transfer So. Aziana Baines Will Make Things A Little Easy For Coach Lisa Gedaka Until State Run. 17. Saddle River Day - This Was a Cinderella Team Last Year, So. Michelle Sidor Should Lead The Charge. 18. Rancocas Valley - Are Returning All 5 Starters from Last Year, Sr. Jonsie Ledbetter (Bloomfield Tech) Will Lead This Team Very Far In The Group V States. 19. Camden Catholic - Jr. Post Brittany Garner Is The Lone Wolf On This Team, Coming Back From Missing All Of Last Season, Will Probability Have To Get It Done All By Herself. 20. Cherokee - Sr. Isabel Therien (Loyola, MD), Izzy Is The Only Starter Back From Last Season But Is Surround By A Bunch Of Talented Underclassmen. Hey guys, since the last time we spoke, I hadn't played my first official game as a Mary Louis Hilltopper, but Friday, December 2nd was opening night. Sun: Today was our "off-day", so I went over to a friend's house to watch movies and eat snacks. Later that evening, I gathered my things for practice on Monday, conditioned and completed a full body workout before hitting the shower then the bed. Monday: Today was a regular school day, no tests nor quizzes. I had practice immediately after school. During practice, we did several box out drills and reviewed our offensive concepts. Upon returning home, I watched some television, since I didn't have homework due the next day. Later on, I ran my mile. I ran faster than I did the day before and faster than I've ever run. While running, I "blacked out": I was completely focused on keeping a constant speed even when I started to feel fatigue. I embraced the ache and burn and kept pushing. Ultimately, I finished in 5:49. After tryouts several weeks ago, we cut our strength training to two days as opposed to three; in order to maintain my strength, I decided to do full body workout circuits. None of the workouts require any equipment, but I use 10 pound weights for different exercises. After completing the circuit twice, I decided to take an ice bath. Soon after, I hit the bed. Tuesday: Today, the entire junior class when on the annual retreat in Brentwood, New York. The theme for the day was relationships. I can attribute enjoying the experience to my closest friends. After we returned from the retreat, we had practice, which was cut short for a variety of reasons; however, it was ultimately productive. When I returned home, I began my homework, ran my mile and completed a tough full body circuit. Wednesday: if I could characterize today in one word, it would be productive. School went well and immediately following, the juniors had a session with our beloved strength and conditioning coach. I can always count on Miss V to make me "uncomfortable": that strand sensation you get when you've left your comfort zone whether you've began a new exercise, went up in weight or did exercises in a different sequence than usual. After our session, the team headed to practice. There, we worked on transition, game situation shots, post entry passes. We also scrimmaged at the end. I was exhausted from the day, so I decided to rest my body. I went through my regular nightly routine and hit the bed. Thursday: Today wasn't the most thrilling, but I managed. After school, we had a light practice being that tomorrow is our first game. I couldn't believe the season was already upon us. I'd been eagerly anticipating it since the day I found out I would be attending Mary Louis. Friday: From the moment I walked into TMLA, my friends and peers started asking, "what day is it?" and it was my job to respond, "It's GAME DAY!" In honor of the first home game of the season, today was also the pep rally. Our game against Nazareth Regional Highschool was scheduled for 6:45, following the Junior Varsity game against Naz; we had to wait the entire day and part of the evening to play. It was a great day overall thank to my friends' enthusiasm. I hadn't experienced a pep rally quite like this one in my former school. In the game, I struggled offensively. Yes, I was a little frustrated, but I kept going. As a team, we slowly built momentum as the game waned on, but everyone had her share of struggles. My coach reiterated after the game, that every win isn't always a good one, but we have to identify the weak areas and build on them. Saturday: The day after I feel I've had another poor performance is difficult. I'm determined to compete and to get to my spots, but initially, I feel embarrassed; it's unexplainable. Overall, it was a good practice; I remained aggressive. After practice, my mom and I traveled to my friend's house for a massage. I'd never gotten a massage, so this, too, was a first. Ice baths usually do the trick, but I think I prefer a massage. I thoroughly enjoyed the experience and would do it all over again. I spent the rest of the day at my friend's house, talking on the phone and speaking to my mom. Sunday: Today was our off day, so I finished up some homework, cleaned parts of the house, talked on the phone, walked the dog amongst several other things. I decided not to do anything basketball related for it is a long season, and it's important that I stay fresh and motivated. This Is A Must Attend Event For Middle Schoolers! Since we last spoke, not much has changed, but several exciting events occurred this week; I'm really excited to share them with you. Monday: Over the weekend, we had a total of three scrimmages. As a result, a clear picture of issues that we should address developed in our minds. Monday was a little more intense than some of our previous ones. Conditioning and constant energy as well as defense were all topics of focus. We made it through; it was tough, but we made it. During a tough practice, I constantly remind myself how important it is to push when you don't want to do so. I also remind myself that in order to be successful, you have to pay the price of discomfort. Monday, Nov 14th: It was regular a regular day at school. I had freshman lunch, so only some of my close friends had lunch with me, it was fun and full of laughs. At the end of the day we had a rough practice, transition work, and conditioning, boxing out, and a lot of running in various forms. Went home did HW and worked on my core for about 30 mins before bed. Hey Basketball World, glad to have you back for week 3! I'm having a lot of fun sharing my whereabouts with you and giving you a little bit of insight into my life, the life of a female baller. Sunday; I slept a lil late since its the weekend and since preseason is officially over, it's all about maintaining strength and growing as a player and person for the duration of the season. Today I decided to do core and calve work; I didn't want to do anything too strenuous because Monday marked our first practice. This is Jordan Nixon signing back In for my 2nd week of a "Diary Of A Female Baller"
On Monday; Since I'm attending a Catholic School (The Mary Louis Academy) Halloween is no longer a standard school day, so I spent the day at home. I'd been working out a lot, so I decided to rest my body and enjoy the day. If I had a gym to go to, believe me, I would've been there, but the rest days are critical to staying fresh and enjoying every minutes you spend getting better. Most of the day was spent watching Netflix, talking to friends via face time and text; I spent the rest of the day playing with my dog. In the evening I ran the steps of my building, conditioning workout I do once or twice a week, especially since it's getting colder. Before I did stair work, I begged my concerned mother to let me out of the house for about 10 - 15 minutes so I could work on my ball handling. Luckily my mother realizes how important improvement is to me. I finish the night with exercises to strengthen my hip adductors, after which, I stretched my abductors. My name is Jordan Nixon, and I would like to welcome you to my first week of a "Diary Of A Female Baller", I would like to thank Gthing Basketball for this great opportunity and allowing me to display what go's on weekly in my life and what it takes to become a perfect athlete and student. This Week Coming Gthing Basketball Will Go Inside With 2018 Jordan Nixon For A Diary Of A Female Baller! 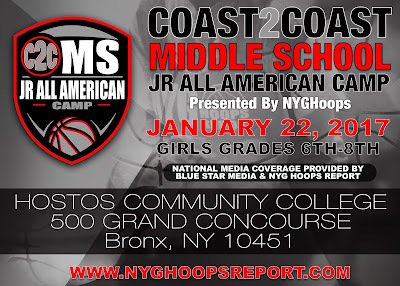 MIDDLE VILLAGE QUEENS, NY - This Event Is Regard As One Of Top Showcase On The East Coast, It's was Hosted By NYG HOOPS Joe Fenelon Of BLUE STARS MEDIA. 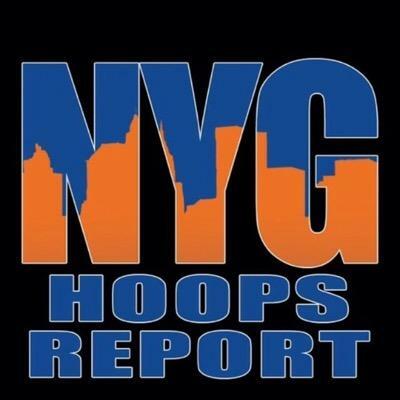 Right Now Joe Is Known as The King Of New York When It Comes To Girl's Basketball, He Gives You All The Info In Most Of The Tri-State. This Was His Third Year In Throwing This Event In Boy Was It Loaded, Despite Some Of The Major Colleges That Were Boycotting. Not This One In particular But All Across The Country For Those Who Were Having A Event, But That Didn't Stop Them From Coming To Watch Some Of Top Upper And Underclassmen At One Of The Top High School Programs In The Country Which Was Christ The King HS, New York The Home Of WNBA Stars Tina Charles and Chamique Holdsclaw Where both Of There Jersey's And Hardware Was On Display In The Trophy Case. 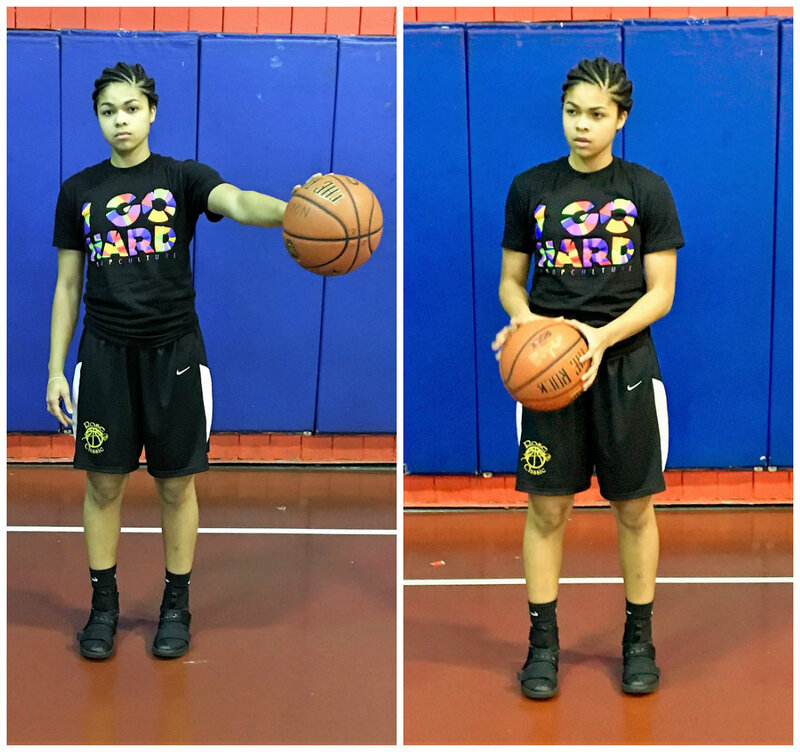 Celeste Taylor - 6'0 - 2019 - Wing - Long Island Lutheran, HS, NY - Versatile Wing with guard like tendencies, Superior athletic ability... Attacks in transition... High leaper... Finishes in traffic... On ball defender... High motor... Quick first step... Very active on both sides... Elite wing for class (2019). NEPTUNE, NJ - Just Us Girls Tournament Was Held By Team Member Of The Shoreshots Tracey Sabino As A Reminder Of How Bad And Deadly Cancer Could Be To Are Self's Or A Close Relative, I'm Sure We All Have Knew Of A Person with This Disease, So Thanks To The Shoreshots For The Awareness. Not To Many Teams Participate In This Event This Year, But That Didn't Mean There wasn't A Bunch Of Talent In the Building. EWING, NJ - This was the 3rd Annual Gthing All Star Classic which consist of 24 girls we have seen or have followed across the country for the past few years, some have been as early as this year. Are event has had some of the top players in country to play in this event before, big names such as Faith Masonius and Honesty Scott - Grayson who played on the USA 16 Under Olympic Team, this year we searched out a few big's to play in this uptempo All Star Game. Besides the heat outside which was a record high of 110 degrees we also had some heat inside between the two teams under a air condition roof. 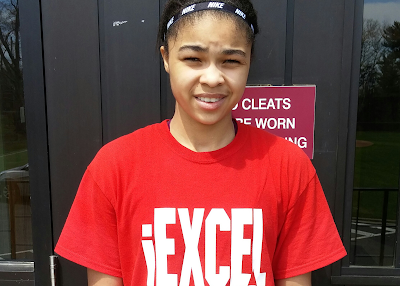 Erica Porter - 2020 - 6'4 - Post - Notre Dame HS (NJ) - Plainsboro, NJ - Off the chart potential; Good hands... Long wingspan... Interior presence... Hogs lane... Shoot blocker... Scores around the basket... alter shots... Soft touch... High prospect for (2020). 3rd Annual GTHING BASKETBALL ALL STAR CLASSIC ROSTERS ARE NOW SET! the players selected, remember please make sure your on time for the event. KAYLA JOHNSON GETS INVITE TO 3RD ANNUAL GTHING ALL STAR CLASSIC! Johnson (aka) the big fundamental had a great aau showing this year, she was very skilled and well taught coming into the 2016 summer. 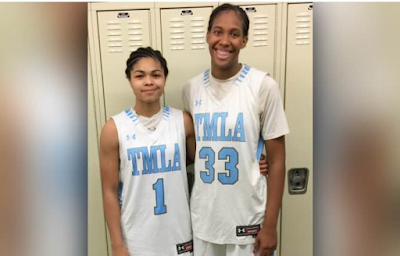 Kayla definitely was underrated for the class of 2020 forwards across the country, but her skilled set and other intangible has earned her a spot to play in the 3rd Annual GTHING BASKETBALL ALL STAR CLASSIC. Gthing Basketball would like to congratulate Kayla on her selection in wish her well as she heads to high school this fall. Watch and listen as we bring you more top players that will play in the 3rd Annual Gthing ALL STAR CLASSIC.